Industrial operations are largely dependent on the working of appropriate equipment and machinery. Therefore, on the account of such failure, the whole industrial operation takes a hit. 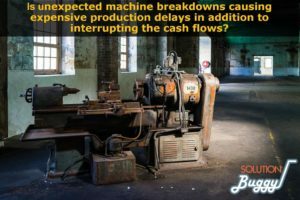 Other than cost of replacing failed machinery, several other financial implications come into existence. The machines used in industrial operations are often composed of complex electrical connections and are even quite huge in size. It is not a layman’s job to efficiently remove the failed equipment from the premises without causing any more damage that might result out of careless handling. 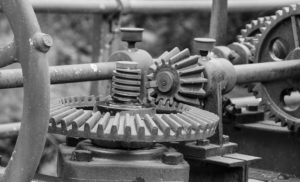 The cost associated with replacing failed parts of industrial machinery is a factor that definitely causes a dent in the monopoly of small, medium as well as large enterprises dealing with machinery failure. Another financial implication that is not as straightforward as the two mentioned above is that of dealing with the downfall of the efficiency of the industry as a whole. Failed machinery leads to failure of certain aspects or operations undertaken by the industry, which further lead to loss of utility costs, labour wages, and even impact customer customer experience in a negative way. Mapping out areas where machine failure is likely to happen in the timespan of industrial operations is a good way to be prepared for the financial implications of such failures as and when they happen. Having a contingency plan in plan in case of machine breakdown can minimise the loses that can otherwise be fatal. Hiring professional industrial consultants who have an expertise in dealing with such situations and provide credible solutions to expected as well as unexpected equipment failure. Solutionbuggy gives you a portal that can equip you with talented industrial consultants as and when required which helps you reduce down time and get your machinery working.